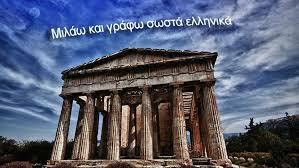 An organization to co nnect all teachers of Modern Greek all over U.S. is born and we welcome it! It is more than necessary to be connected exchanging experience and ideas, improving our skills and bringing our students together from coast to coast! «Η ισχύς εν τη ενώσει»! ”The American Association of Teachers of Modern Greek (AATMG) is a non-profit organization that supports best practices, innovative technologies, and research in the teaching and learning of Modern Greek. AATMG facilitates networking and collaborations among members, creates opportunities for professional development, and is an advocate of the Modern Greek language education field”.